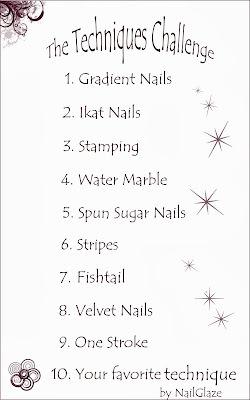 I am back with a new Technique Challenge: Spun Sugar Nails. How to create a Spun Sugar design? Well actually it is super simple! Step 1. Put a drop of nail polish onto your work area. Allow it to thicken! Step 2. At this point your polish has thickened. 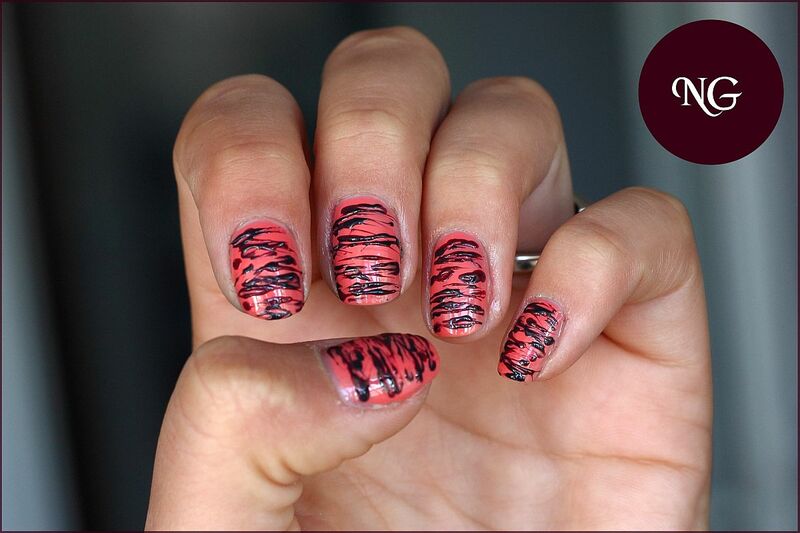 Grab an orange stick, a dotting tool or toothpick and dip it into the polish. Now lift the thickened polish over your nails. Step 3 is optional. 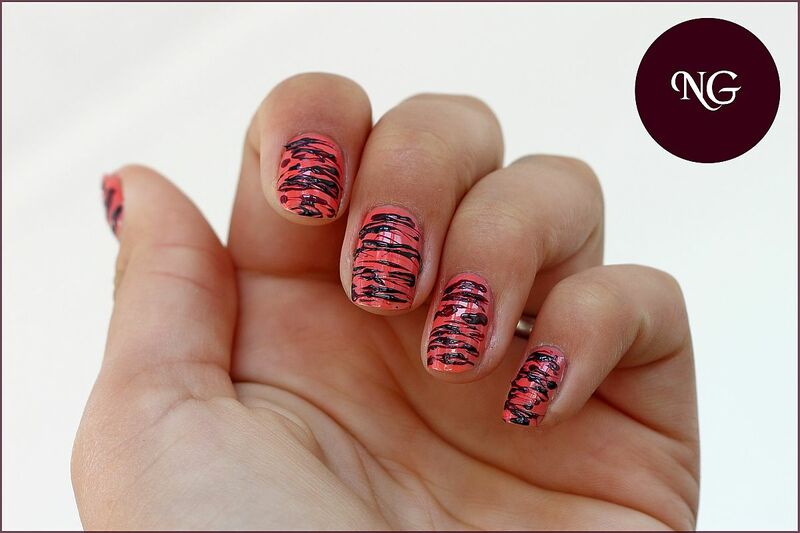 You can apply a top coat but than you will loose the 3D effect. I like how it turned out. Next time I will definitely use more powerful colors. 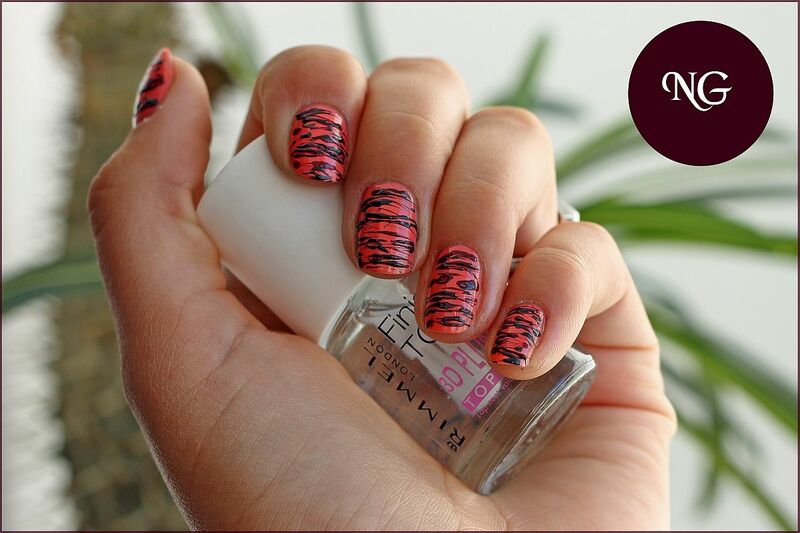 The next challenge will be Stripes and will be posted on the 16th of September, 2013.
superbe <3 apropo, si eu folosesc acelasi top coat si e minunat! Multumesc! Este un top coat foarte bun. Imi place sa-l folosesc. Ce tare, ai aplicat top-coat. Insa se vad la fel de frumos. Uite de asta nu imi place. Tie ti-au iesit mai subtiri, arata mai frumos asa. Au iesit frumoase! Si combinatia de culori e placuta!